You'll stand up and cheer for this feel-good sports thriller starring Brandon Routh. 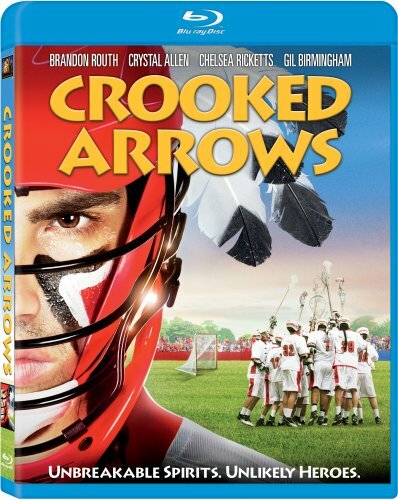 The ancient sport of lacrosse has been part of their tribal heritage for centuries, but the Native American players on the Crooked Arrows high school team are long-time losers. When former star player Joe Logan (Routh) agrees to coach the rag-tag group to seal the deal on a lucrative casino project, he sets out to turn the chumps into champs and, in the process, learns the value of loyalty himself. You'll stand up and cheer for this feel-good sports thriller starring Brandon Routh (Superman Returns). The ancient sport of lacrosse has been part of their tribal heritage for centuries, but the Native American players on the Crooked Arrows high school team are long-time losers. When former star player Joe Logan (Routh) agrees to coach the rag-tag group to seal the deal on a lucrative casino project, he sets out to turn the chumps into champs and, in the process, learns the value of loyalty himself. If the Arrows can learn to shoot straight and challenge their prepschool rivals, these fast-breaking warriors may just pull off the ultimate upset and win it all!